The Harley O. Staggers, Sr. Congressional Papers Collection contains the documentary, photographic, and audio-visual record of Harley O. Staggers, Sr.'s life and public career in the United States House of Representatives. The entire collection ranges in date from 1916 through 2002, while the bulk of the records cover the period of Congressman Staggers' sixteen terms in the United States House of Representatives from 1949 to 1980. Click on the button below to access the finding aid for the Byrd Center's Harley O. Staggers, Sr. Congressional Papers Collection. The file will download as a PDF and you can search it by pressing "Control - F"
The Congressional Papers of Congressman Harley Orrin Staggers, Sr. span over thirty years through his career in the United States Congress. Altogether, the Staggers, Sr., Papers contain over 200 linear feet of records. However, this collection is housed in two repositories, with 70% located in the Archives of the Robert C. Byrd Center for Legislative Studies and the other 30% housed at the West Virginia and Regional History Center at West Virginia University. Researchers can access the finding aids for both parts of this collection on this page. The Staggers, Sr. Collection at the Byrd Center consists of five series: Correspondence, Working Papers, Memorabilia, Audio/Visual materials, and Press. The collection presents strong research opportunities for the details of Mr. Stagger’s general correspondence in his capacity as a U.S. Representative, his campaigning efforts, and his work on the Interstate Commerce Committee. The Correspondence series is arranged first by date range into three main subseries: 1949-1976, 1977-1978, and 1979-1980. These are further categorized by correspondent’s name and by subject within each subseries. The correspondence includes both issue mail and casework. This series also contains VIP, personal, and family correspondence. The Working Papers series document several areas of Staggers’ public life: campaigns, files on the Interstate Commerce Committee from the period when Staggers was the Chairperson, legislative acts by subject, voting records, administrative records from his office, records regarding his domestic and international travel, his meetings throughout West Virginia, and copies of his speeches. The Memorabilia series documents Staggers’ political and civic involvement and includes newspaper clipping scrapbooks and political ephemera. Access to this collection is limited due to ongoing processing work. Please contact the Archivist for information regarding this collection. 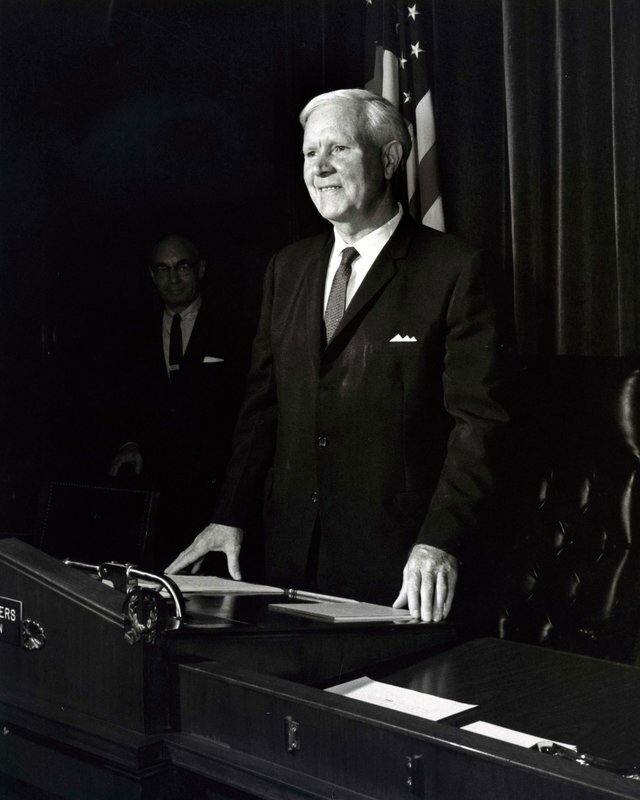 The Photograph series contains historic photographic records spanning the entire life and career of Congressman Harley O. Staggers, Sr. as well as his family and staff members. The collection includes over 900 photographs which have been digitized. The bulk of the photographs are original, some including signatures. The collection also contains some negatives, as noted in the description field. The Press Files series contains news clippings, periodicals, photographs, and other media documenting Congressman Staggers’ congressional career and personal life as conveyed to and covered by the press. The series contains both loose press files and clippings scrapbooks compiled by Congressman Staggers’ staff. The collection is arranged chronologically with some topical folders included. The Audio/Visual series contains 3 boxes of audio and visual records on a variety of recording media. Access to this collection is limited due to ongoing processing work. Please contact the Archivist for information regarding this collection. West Virginia University, Morgantown, WV. Papers of West Virginia Congressman Harley O. Staggers. Includes legislative files, correspondence, reports, bills, speeches, resolutions, news releases, and invitations. There are records of the House Committee on Interstate and Foreign Commerce which Staggers chaired. There are also copies of bills regarding banking, broadcasting, clean air, education, finance, international relations, the judiciary, public works, and trade. (Box 68, folder 22, contains legislative material pertaining to Harpers Ferry.) See Scope and Content Note for links to additional information and contents list. See Historical Note for more information about Staggers.